instead of being at school with shoes on their feet, and at least one meal a day ~ We Are Accountable. When an elderly man lies cold… hungry… and in pain on discarded cardboard in a forgotten room… instead of fed, cared for and nurtured by those paid to do a service, having sold the bed he is supposed to lay on ~ We Are Accountable. When a pregnant woman expresses an opinion… and is verbally abused, slapped and her life threatened by a man… and police do nothing to protect her… or her unborn child ~ We Are Accountable. When a teacher is scorned for protecting a student from bullies… and the offenders go undisciplined because rules, standards and values are negotiable by the richer parent ~ We Are Accountable. When our roads are lined with litter, our beaches covered with plastic… chickens forced to fight for gamblers… dogs stolen for night games… and service horses go hungry their ribs evident of starving neglect ~ and those obviously responsible are left unquestioned ~ We Are Accountable. 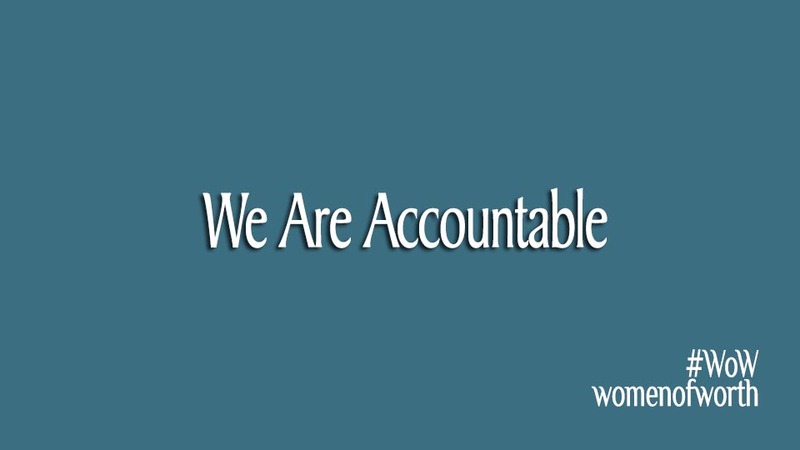 When a farmer is murdered, his wife beaten and home ransacked… his fields and livestock burnt and slaughtered… and the criminals go uncaught… untried… unpunished… these heinous crimes continuing day after day… week after week ~ We Are Accountable. become about race rather than those inciting rebellion and committing crime… and the guilty go unpunished by those we placed in authority to protect us, defend us, and stand strong for us… casting doubt and dispersions… blaming others… pointing fingers ~ We Are Accountable. When we allow our leaders to make race an issue… gender a discrepancy… colour a point of contention… rather than using the power we granted them to highlight the truth… up hold the law… live to standards of honesty, integrity, courage, kindness, respect and reverence for all life… no matter our colour, creed, age or gender ~ We Are Accountable. Edmund Burke said, “The only thing necessary for the triumph of evil, is for good men “and women” to do nothing.” (“and women” added). When we stand for nothing. During the past couple of weeks, they have played to a more subtle softer, gentler rhythm… however, still in a constant resonance… so I’m sharing them from my heart, with the hope they inspire and touch hearts, as they are meant to. Please Like our Facebook page www.facebook.com/womenofworth2015 and join our Wow groups.